After twenty five years of fly fishing for freshwater species, I recently threw my first casts into salt water. As is always the case, hindsight is 20/20. While I had plenty of success, there are several things that I wish I would have done prior to my first saltwater trip. I’ve always been a huge proponent of practicing your casting. Throughout my time guiding freshwater trips, it is consistently one of the most common elements that holds anglers back from having greater success. While I did practice a handful of times prior to my trip, I should have practiced more. I’m a confident caster with lighter weight rods, but never having cast an eight or nine weight left me lacking the muscle memory of working with a heavier rod. As part of this practice, it cannot be overstated how important it is to have the ability to effectively present the fly with a backhand cast. In addition to the casting itself, I wish I would have practiced my footwork. In the vast majority of freshwater situations, we as anglers target slowly cruising or posted up feeding fish. 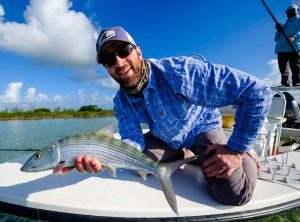 The rapid directional change by the bonefish was a drastic difference from any other fly fishing experience that I’ve had. The need to change the path of my line and body position mid cast challenged me. Extra practice time with this factor would have helped take advantage of opportunities that I missed. As a newby to salt water flies, I had no idea what I was doing in this category. I phoned a friend. 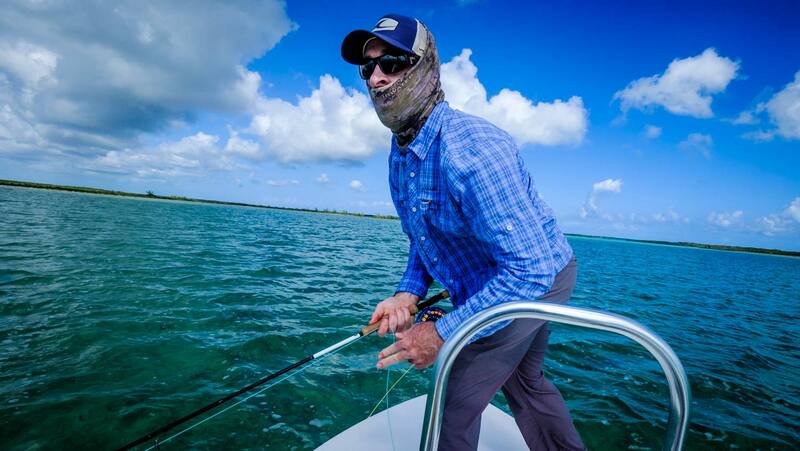 Drew Chicone is a salt water fly tying and fishing expert who I’ve gotten to know on Instagram. His work as an author and Umpqua Signature Tier over the past few years has shared a plethora of successful salt water patterns. Whether you’re a tier or a buyer, Drew’s work can serve as a great resource. Drew ties thousands of custom salt water flies each year and his ties and advice kept from completely lacking in this category. The patterns that he tied for me consistently helped me connect with fish and held up well to their abuse. As an avid tier I’m excited to own his book Top Salt Water Flies. I’ll be using this resource to spin up my own bonefish bugs before my next saltwater adventure. If you’re headed out for your first saltwater trip, take the time to dive into the available resources before you go. Talk to friends that have been, read through blogs and books and use social media to communicate with experts. This investment of time will help you make the most of your start to salt water. This entry was posted in Fly Fishing Tips & Technique, Saltwater Fly Fishing, The Hot Ticket and tagged Umpqua tyer Bob Reece casts his fly into saltwater for the first time. by Louis Cahill. Bookmark the permalink. I just experienced the exact opposite over the weekend. For me, Its been a while since I cast the lil 4 and 5 weight rods… I have gotten so used to 8 and 10 wt’s that I felt like I wasn’t casting at all… really weird experience.. I hadn’t thought of it from that angle. They are lil compared to those beefier rods.